umar Chartering B.V has been founded in 1985 and based in Rotterdam. Dumar Chartering B.V. is one of the leading shipping companies who provide reliable, passionate and long term services to all our customers. The company is one of the last independent family owned shipping companies at Rotterdam and manage cq. 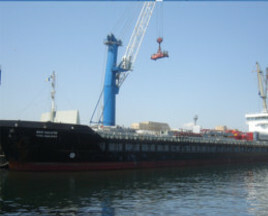 operate all different sizes bulk carriers, between 2000 dwcc upto 40.000 dwcc. We are also active as managing owners, freight contractors, shipbrokers, time charterers and shipagent. 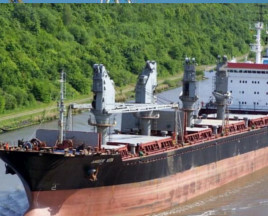 Besides our energetic influence in shipping and breakbulk services, our sister company is acting as commodity traders, like sale and purchase of cement , sugar, scrap and sunflower oil. Moreover Dumar Chartering b.v. is very active on worldwide basis and transports yearly approx 750.000 metric tons to various world-wide destinations. We are transporting and shipping ordinary bulk cargoes like salt, cement, phosphate, wheat, scrap, coal, alumina etc., but we also handle general cargoes and heavy-lift cargoes. We are always prepared to ship anything moveable, for a very competitive sea freight,from anywhere to everywhere. Our highly skilled & experienced team has a broad know-how and serves her customers 24 hours a day, 7 days a week. We always looking for the best solution, to offer our customers a complete, competitive and professional shipping service with support of our market-knowledge and supported by a wide network with exclusive Shipowners, trading houses, exporters & importers. Whether you just require a quote for a sea freight regarding breakbulk, or you want to use our service package for very complicated heavy-lift transportation, we are always there to serve you.